Experience a scenic cruise to Fremantle and the Indian Ocean whilst enjoying your special Buffet Lunch. See the city skyline, Kings Park, millionaire's row, giant sand spit and the bustling historic port of Fremantle. Choose from a selection of wines or beer to accompany your delicious Special Lunch and enjoy morning tea. You are transferred to Barrack Street Jetty in the heart of the city, see the progress of the massive new riverfront Elizabeth Quay, named in honour of the Queen's Diamond Jubilee. Set sail on your large vessel for today's river cruise. Enjoy spectacular views as you cruise the calm waters between Perth and Fremantle. Your Captain will point out the many sights, including Perth's impressive Bell Tower, Kings Park, the restored old Swan Brewery, Royal Perth Yacht Club, many magnificent homes overlooking the river and Fremantle's busy inner harbour. You will learn about Perth's rich history (and about some of its more notorious individuals). Tea and coffee is served in the morning and a delicious special Buffet Lunch is taken onboard looking out over million dollar river views. Select from hot dishes, continental meats, fresh local prawns and mixed variety of gourmet salads all followed by cake and dessert, with a choice of wines, beer or soft drinks. This afternoon you can wander through the streets, shops, galleries and museums of Perth or simply relax at your hotel. Rottnest Island is a wonderland of white sand beaches, pristine coral bays, stunning scenery and is a haven for wildlife. Interact with super cute Quokkas, the happiest animals on earth, perhaps ‘do a Roger Federer’ and join the Quokka selfie craze. Spot dolphins, whales, seals and other plentiful marine life in season. Discover the flora unique to this island. Wonder through the historic settlement, perhaps walk the Wadjemup Trail, hire a bike or simply enjoy a swim and relax at a choice of 63 beaches and 20 secluded bays. It’s easy to see why ‘Rotto’ is so popular. Enjoy a cruise from Perth’s new waterfront precinct at Elizabeth Quay along the sparkling Swan River to take in the wonderful sights that can only be viewed on this cruise to the historic port town of Fremantle. The stunning Swan River meanders through the beautiful city of Perth, this scenic, tidal waterway is the city's beating heart where visitors and locals picnic on its banks, joggers and cyclists follow its course and boats bob gently on its shimmering waters under endless blue skies as you cruise westward the historic and charming city of Fremantle and the azure Indian Ocean and across to beautiful, historic Rottnest Island. Enjoy the informative commentary onboard your comfortable vessel as you cruise the calm river waters and then make the short ocean crossing to Rottnest. Your luxury coach tour of the island will enable you to explore the many beaches, meet the abundant Quokkas and discover the remarkable history and unique flora of the island. Savour your delicious special Lunch at Thomsons Bay and then some free island time before cruising back to Perth in the evening. 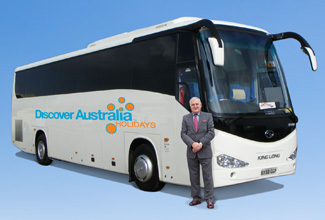 Return Cruise to Rottnest Island, Special Lunch, Rottnest Island Luxury Coach Tour, Overnight Perth Accommodation. 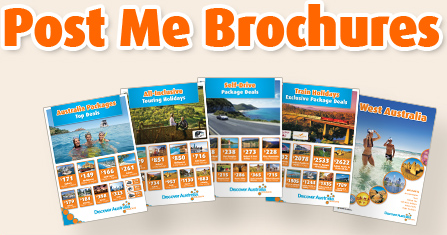 The Perth All-Inclusive with Rottnest Island is very popular. Many dates book out well in advance, please book soon.